The OFF rule in IFTTT. It uses the Maker Chanel for the trigger, which means a web request will trigger this. 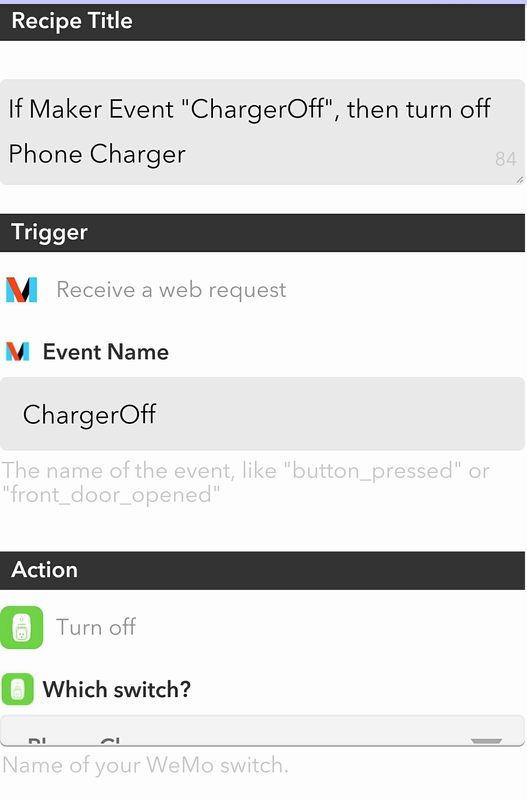 It turns off the WeMo controlling the wireless phone charger. More advanced Joomla! Performance tweaks.